NEW BRITAIN - OKAY Industries has announced that it has selected a new marketing manager to serve as the head of strategic initiatives that promote the OKAY brand, support business development and highlight the company’s market position. Angela Dillon is OKAY Industries new marketing manager. She will provide support to the company’s three facilities in New Britain, Berlin and Alajuela, Costa Rica. Dillon has 25 years of combined experience in the areas of marketing and manufacturing. She also has experience with new business development, building brands and cultivating partnerships. Dillon has been recognized as a passionate corporate leader. 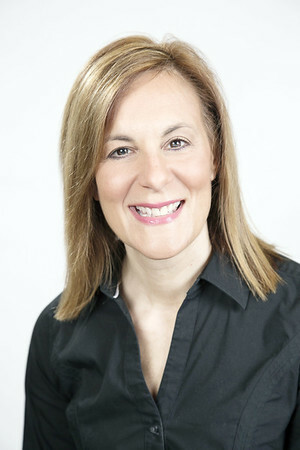 She is a member of Women in Manufacturing, the 2019 Catalyst Fund Committee for the Community Foundation of Greater New Britain and the American Marketing Association. In her new role at OKAY Industries, Dillon will also manage internal and external communications for talent recruitment and retention. OKAY Industries is a manufacturing business that has been around for more than 100 years. The company makes parts and assemblies for other businesses with a primary focus in the medical industry. For about 15 years, the company has handled automation technology to improve productivity, safety and increases the quality of the parts. In addition to keeping up with quality and technology, OKAY Industries has a partnership with Central Connecticut State University. The company awards scholarships to students focusing on mechanical or manufacturing engineering. The company also has two paid internship programs, and it promotes manufacturing and engineering to students in junior high school. To learn more about OKAY Industry’s services and opportunities, visit the company’s website at or call . Posted in New Britain Herald, Business, General News, on Monday, 18 March 2019 20:53. Updated: Monday, 18 March 2019 20:56.